High flyers and contortionists, clowns and fire dancers are just a sampling of the performers of a Cirque du Soleil show. Each Cirque show tells a story through acrobatics, song and music and no animals are used in any Cirque du Soleil show. It is strictly a “humans only” circus. How did this popular circus come to be? In Baie-Saint-Paul east of Quebec City, Giles St-Croix founded a theater troupe he called “Les Echessaiers de Baie-Saint-Paul (“The Stiltwalkers of Baie-Saint-Paul”). The troupe entertained the residents of Baie-Saint-Paul with juggling, fire breathing, playing music, walking on stilts and dancing. One of the members was Guy Laliberte. 1984 marked the 450th anniversary of the discovery of Canada and Quebec province was planning a huge celebration. Laliberte convinced the organizers a tour of Les Echessaiers performers was just what they needed because they wanted to bring the festivities to all Quebecers. 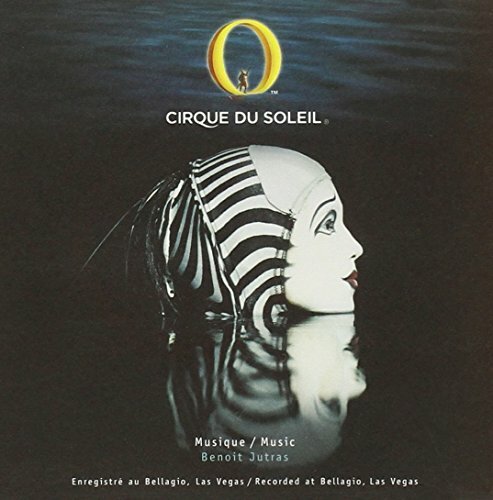 Laliberte changed the name of the troupe and Cirque du Soleil was born. The tour was a hit, but over the next few years troupe faced financial difficulties. Partners Laliberte and fellow street performer, Daniel Gauthier, wanted to bring a show to the audience that would stretch the imagination and wanted the Cirque due Soleil to be a “proper circus.” Laliberte hired Guy Caron, who at the time was the head of the National Circus School, to be the artistic director. Together they reinvented the original theater troupe; moving toward designing shows that told a story and with music throughout the entire performance. Trying to emulate the Moscow Circus, they had the performers move equipment and props to keep the continuity of the storyline; and most importantly they didn't want rings or animals so the audience would be drawn into the performance itself. Laliberte and Caron hired Franco Dragone who was also an instructor at the National Circus School; and who went on to direct most of the cirque shows until 1998. In 1987 the Cirque went to Los Angeles, California and was a huge success. The following year, Caron left the troupe citing “artistic differences” and took many loyal performers with him. He was replaced with Gilles Ste-Croix who had been away from the Cirque due Soleil since 1985. The success in Los Angles propelled the Cirque to become one of the most popular non-animal circuses in the world. In the year 2000, Laliberte bought out Gauthier and the Cirque now has estimated annual revenue of $USD 810 million. Performance from Cirque du Soleil "Quidam"
By the Cirque’s own description each performance is a “dramatic mix of circus arts and street entertainment.” Each show is elaborately designed. Each year talent scouts participate in about 80 audition events. Once the creative team is assembled it usually takes 16-24 months to produce a show. About 25 percent of the artists come from the circus milieu; approximately 60 percent come from a sports background such as gymnastics, diving and synchronized swimming; with about five percent of those artists having competed in an Olympic game. While the performers are in training, they generally train six-seven hours each day. Costumes for the performers are created at the headquarters in Montreal. Each costume is designed specifically for the individual performer. For headdresses, the workshop makes a cast of the performers head so they can continue to work without the artist being present. The costume shop uses many items including fishing line, piano wire and metallic gift-wrap paper. The majority of the costumes are screen-painted by hand; 80 percent of the fabric is custom dyed. Each year the costume workshop uses over 20 kilotons of fabric from around the world; silk is used most frequently because it wears and dyes well.. It takes the costumers six hours to make a pair of acrobatic shoes and 45 hours to make a pair of clown shoes. All that work and the lifespan of a pair of costume shoes is only three months! The make-up for the performers is specific to each individual according to their features. The performers are taught to put on their own make-up. One method used is the teacher applies the make-up to one side of the face and the artists copy it on the other side until they are able to do it on their own. Each make-up session takes one-two hours. In 2010 the Cirque had ten touring shows across the globe. When a show goes on tour, each tour is scheduled in cities so it follows the sun. Most of the touring shows are under the big top; however, some of the retired shows were reinvented to be performed in arenas. Between 1984 and 2010, the Cirque had performed in 250 cities across the world. When a show goes on tour it is self-sufficient; requiring only a water hook-up and telecommunications connection. Some shows take as many as 70 semi- trucks and trailers to carry the equipment needed for each show. The “grand chapeteau” (the tent) is manufactured in Bordeux, France and is 165 feet in diameter, supported by four 82 foot steel masts, and 500 stakes, each five foot in length. It takes the crew five days to set up the area for the show and three days to take it all down. The “Big Top” usually seats about 2500 spectators. Each touring show also has an artist tent of 1300 square feet and contains the wardrobe area, training and exercise areas, and individual dressing rooms. The crew sets up a kitchen and dining room to feed the artists and the artists stay in trailers on the Cirque grounds. Each show has a crew of about 160 people with approximately 60 artists of varying ages. Artists often have their children with them as well as the children who are performing artists. A show can have performers who range in age from 10-72 years. In addition, the shows hires about 150 local staff in each city. Typically, a touring show stays in a city for six weeks before moving on to the next site. At each city, the Cirque provides free tickets to the dress rehearsals for organizations that work with troubled youths. Both touring and non-touring shows have their own particular needs. The majority of the permanent Cirque shows are performed in hotel-casinos in Las Vegas, Nevada. The first show to come out of the big top and into a theater was the show Mystere. It is the resident show of Treasure Island in Las Vegas. The theater seats 1629 people. One of the most unusual shows that is available is “O” at the Bellagio. “O” is a show that is performed in, on and above a giant water tank. A theater had to be constructed for this show and the costumes and make-up obviously had to be water-proof. 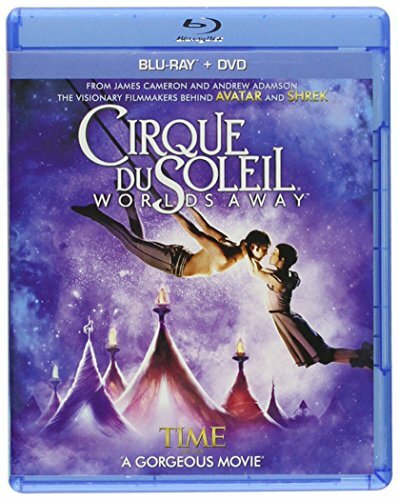 Two other notable permanent Cirque du Soleil shows in the United States are one located in Walt Disney World Resort in Downtown Disney, Orlando, Florida; and one in the theater at Madison Square Gardens in New York. By 2010 the Cirque had two permanent shows outside of North America; one in Macau, China and the other in Tokyo, Japan. The shows are designed so each seat has a good view of the show; however tickets for the Cirque usually sell out rather quickly. It is advisable to plan ahead when going to Las Vegas, Orlando, or Madison Square Garden. Tickets can be bought online through the Cirque du Soleil site for touring and permanent shows. For touring shows, club members of the Cirque du Soleil get advanced notice (about a year in advance) of touring dates. Membership is free and is accessed through their website. Aerial High Bar Act from Cirque du Soleil "ALEGRIA"
The Cirque is continually expanding and creating new shows. There is nothing quite as thrilling as watching a trapeze artist swinging high overhead, letting go of the bar, completing a perfectly executed flip and landing in the grasp of a fellow trapeze artist. Unless it is watching a tumbler catapult across the stage and land on the shoulders of a teammate after three or four somersaults in the air; or maybe the ultimate thrill is watching a acrobat balance perfectly on a pole held on the shoulders of two strong men who keep the pole perfectly still while the acrobat flips and somersaults and lands exquisitely balanced back on the pole. I've seen 5 of the shows, 3 in Vegas, and found this article fascinating.